Complete silence filled my home. Gradually a room dimmly lit by a lamp was flooded with a blinding beam of light. I glanced at the clock that read 6:00am. “Wait, is that DAYLIGHT?” I was so absorbed and engrossed in my work that I had no clue of the time. While I sat stunned that I had been working through the night, I heard footsteps emerging from my bedroom. “What in the heck are you doing?” In the doorway of the kitchen stood my husband with this perplexed look on his face trying to figure out where his wife has been all night. All I could do was laugh! Lol! Between my chuckles I was able to remind him that I was in crunch time to finish my book and journal. “I will be there shortly Cutie,” I reassured. But it was another two hours before I was done. Eight in the morning is when I finally slid under the warm covers onto the perfect mattress next to my perfect man, and got a good hour and a half of sleep before the day’s demands met me. How bad do you really want what you say you want? There are no excuses big enough to keep me from what I want! Is this your resolve as well? Me and my husband have been pouring our hearts out onto the pages of our new books. This process has required many late nights and early mornings. I wanted my book along with his new book to be ready for our Fellowship Conference that was quickly approaching. I am convinced that God has placed these books on my husband’s and my heart to share with the body of Christ and the world. That being the case, sleep was not an option at the time. My book is entitled FOCUS. How can I teach others to focus and get a job done and I put off my responsibilities and not get it done? Not happening at all! In every area of our lives, when there’s a goal there must be a commitment to the work necessary to get it done. When my marriage was bad I was determined to delve into whatever I had to do to fix it. When my husband was sick just a couple of years ago, I used that same tenacity as me and my family fought a good fight of faith to see my husband healed. So to be up until I could say “it is finished” was a no brainer for me. How bad do you want what you want? Sometimes you will have to forfeit the present comforts to get to your final destination. I love how on the last blog Romona commented that she used an excuse not to go with her husband to a family barbecue, but after she read and saw the vlog she changed and went. I pray that this blog will encourage more of you to put in the necessary exertion of energy to qualify to see the best results possible. There is no excuse that should ever be big enough to keep you from all that God has for your life. 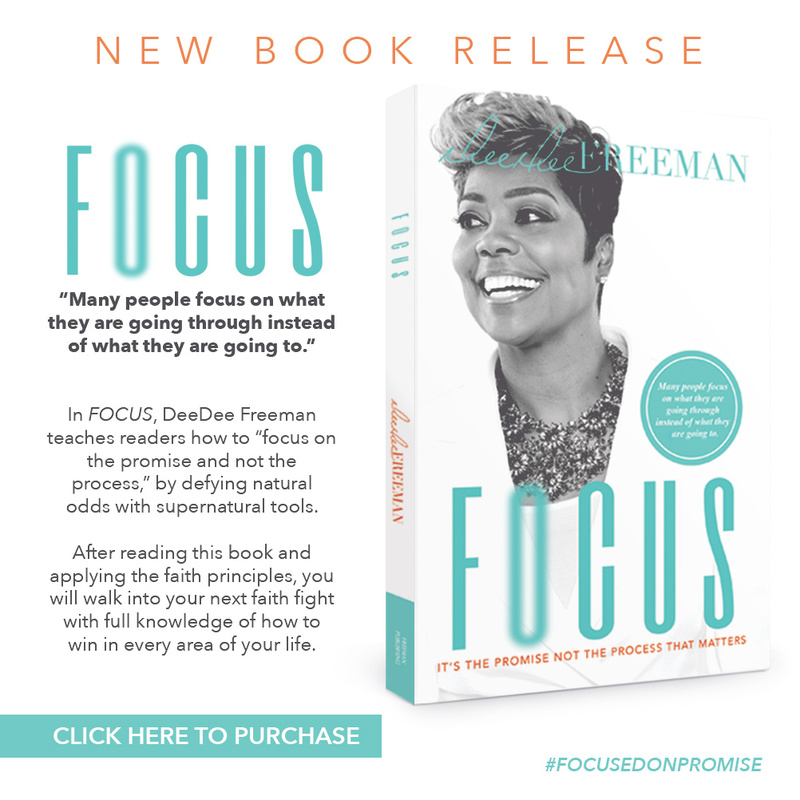 I am so excited to share that my new book, FOCUS, is finished and I can’t wait for you to read it along with my husband’s new book, “Before the Storm”! Congrats! Can’t wait to read both books! Wow. All I say say is wow. Congrats to you and Pastor Mike on your new books. I am so very proud of my spiritual parents. I am printing your blog out to help me focus. Working on a project which I’ve had to re-write almost from scratch. Got discouraged but by copy editor has been working with me and we are working to get it finished as it is bumping up against another project which has already started. Thanks again for these words of encouragement. They give me inspiration to complete what I have started. See you at the Fellowship. Can’t wait to read both books. Thank you for all you do. May God continue to inspire you to help his people. You have no idea how bad I needed this blog today!!!! THANK YOU for your example. Love you new book cover. Can’t wait to read both. Congrats! Good word Dr. DeeDee!!!! This is JUST what I needed. I receive and will apply the principle shared with us today. To you and Pastor Mike. I thank God for you both,you all-such a Blessing to me and my husband. Congratulations on your new book! No more excuses, I must step out on faith! Thank you for being the example. Dr. Dee Dee… thanks to you and Dr. Mike for continuing to be the spiritual mother and father, auntie and uncle, brother and sister that the body of Christ so desperately need. I continue to be fed by the word going forth from you. Count all things blessed that are of God. Be Blessed. Love you much!! Congrats to you both!! You’re both such great inspiration to the body of Christ and are reaching people everywhere.Blessings to you!! Excited about reading your new books!!! Awesome! Read this morning. Just by reading the glimpse of what these books will be about, has already got my heart stirring to read these two golden nuggets. I literally need both of these because every body need to have strategies before the storm, not knowing instead of getting instructions in the storm, but to get ready before we get hit, well before I go into it. And as for focus, never thought to focus on the promise, but get caught up on the process causing it to be a stage of complaining instead of a season. Oh I’m excited!!!!!!!!!! Cant wait to read them both….congrats!! You go Dee Dee and keep doing what you are doing your such a dynamic mentor. I have a very busy life. I’m looking forward to reading both books and applying the concepts. Congrats! What an accomplishment. I look forward to reading your book. Thank you Dr. Dee Dee. I am encouraged once again; and the whole Body of Christ needs to be reminded of this very thing, “work is required”. If you can’t stick with the thing all the way to the end, you will not reap the benefits. Well said. Focus before the storm lol I love it!!!! Ordering my books! Excited to read both of them! Congratulations on the new book! I can’t wait to read it. This inspires me to keep writing! Praise God!!! I am so excited and looking forward to both books!! Thank you Dr. DeeDee for your weekly blogs, they are so real I can almost hear your voice and excitement to share as I read.. God Bless you both. May God’s continued blessings and love for the people of God continue to “populate the Kingdom!! Thanks Dr. DeeDee for this awesome encouraging word. I was just talking to myself and Dad(God) about going the extra mile. I was reminded about the verses in the bible about sleep and how too much of it accompanies laziness. Proverbs 19:15, Proverbs 6:9-10. Not that I sleep to much but I’m encouraged to know that this message for me is saying be steadfast in your desire of God’s will to come to pass. There is a grace on my life To complete ever assignment! I may loose some sleep but I will NOT LOOSE Rest! Congratulations Drs. 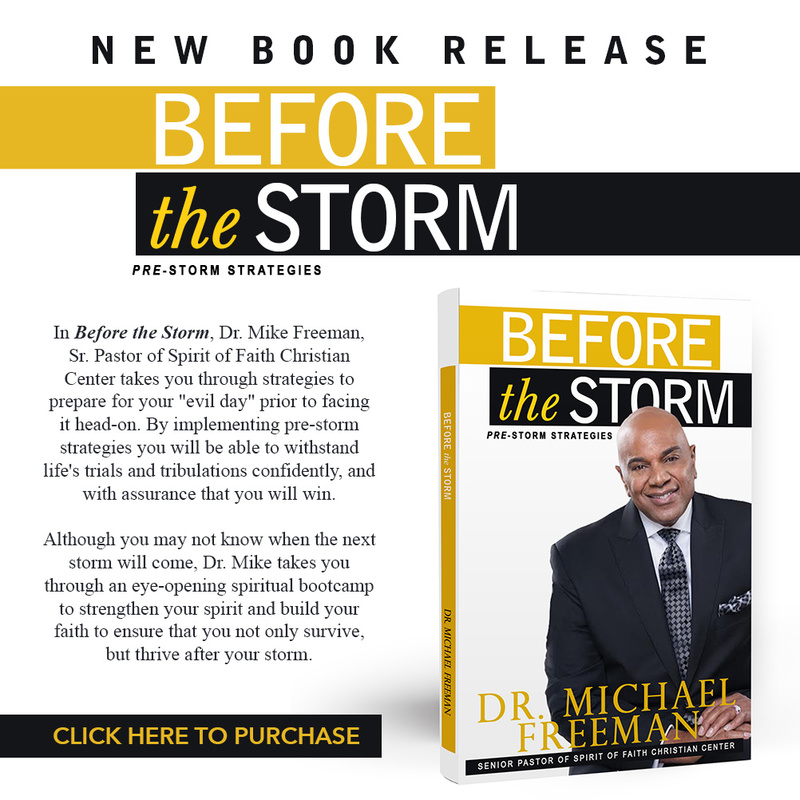 Freeman on your Holy-Spirit inspired BESTSELLERS!! Focus is the operative word for us in the time and age in life! Time to be focused on what God has for us to do. This message is just in time! This week, I made the decision to finally enroll, and complete my full teacher certification, no matter what! I am excited, I will be getting both books! Thank you for sharing! thanks Dr. DeeDee for your diligent to complete your book and yes I purchase both while i was at the Fellowship hate I didn’t get chance to get you all to sign mines,but thank God I was able to get them both.can not wait to read yours I am reading before the storm first:)love you all be blessed. Thank you Dr. Dee Dee staying focused and procrastinating had become a challenge for me. I am determined to make the changes in my thinking and putting my faith into action. God bless you.